You may have noticed that not so many hours ago, YouTube went down for users around the world. 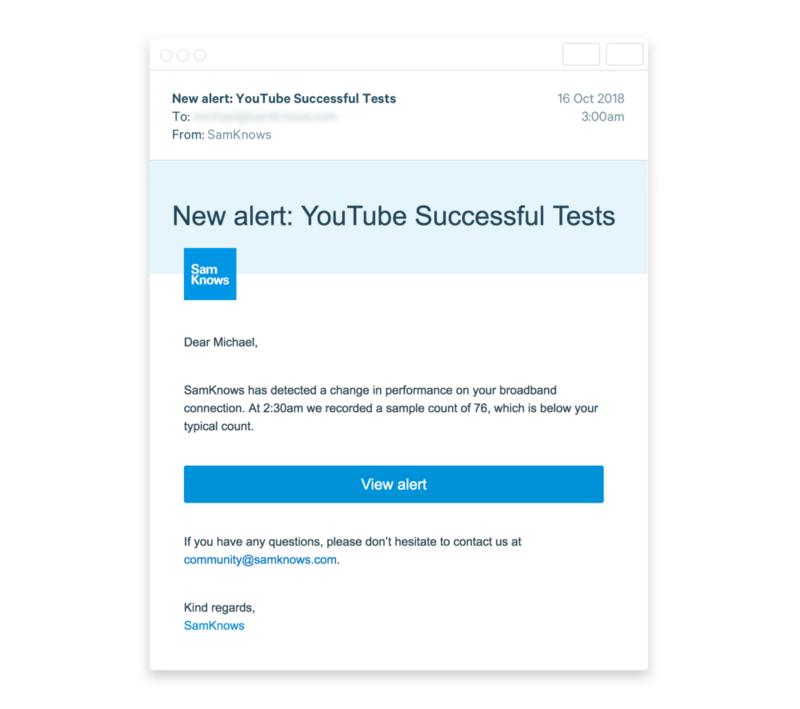 This week, we identified a steady influx of notifications showing the number of successful YouTube tests drop across North America, Europe, and Asia. The alerting feature in SamKnows One, our internet performance measurement platform, is a permanent fixture for many of our developers who like to stay on top of the data as much as possible! This means that SamKnows One will send them a message as soon as it detects a significant change in performance results. 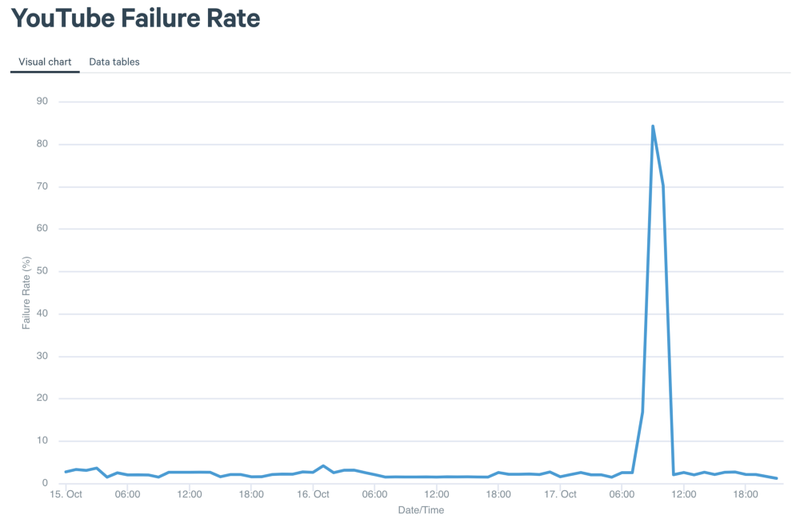 As you can see in Figure 1, we saw a failure rate of almost 80% out of a sample of 1,300 UK homes that were testing between the hours of two and three in the morning (testing agents don’t run the tests every hour). 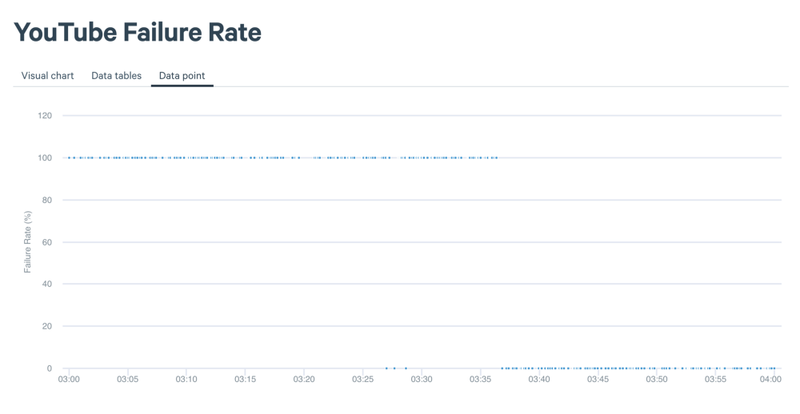 By digging deeper into the data via SamKnows One, using the graph inspection feature, we found that the number of successful tests (20%) occurred during the first 8 minutes of the hour (Figure 2). However, we also saw some tests successfully connecting and downloading YouTube videos during the outage. 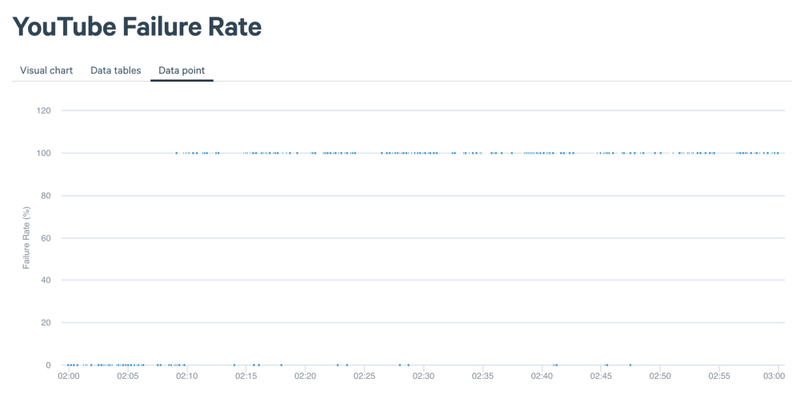 Figure 3 shows that between 3am and 4am BST, we can see that the outage ended at 3.38am, when videos started to download successfully. But can we see similar behaviour in other continents? 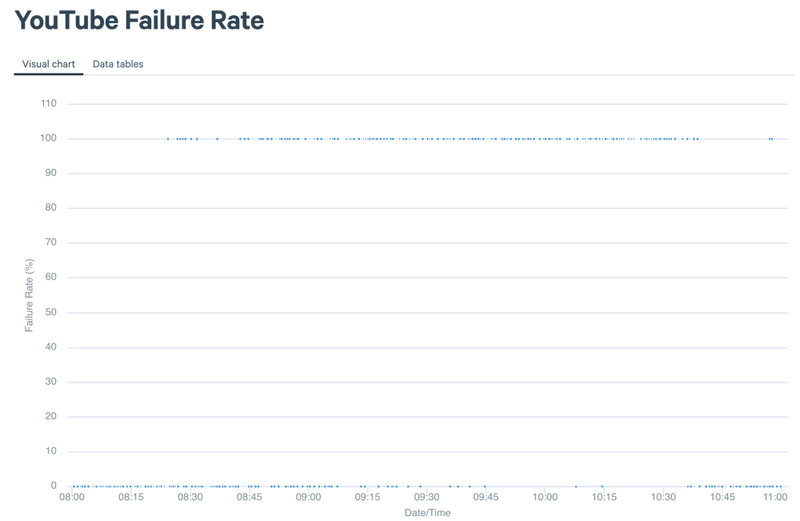 In Singapore, we can see that the failures actually started a bit earlier, at 8.24am SGT, with a large number of requests still making it through, as shown in Figure 4. 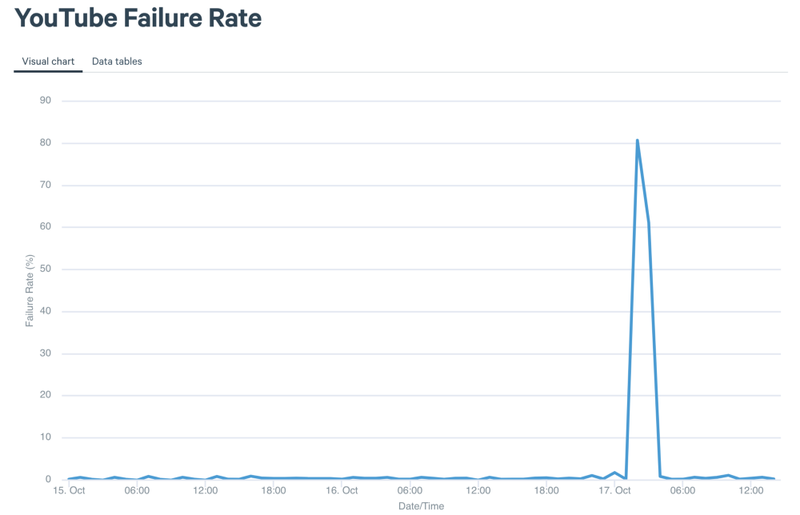 And at 9.09am, the failure rate spikes where it remains, similar to the UK, at almost 100% until 10.38am BST (Figure 5). Failures of this scale are rare with platforms as well established as YouTube, but it gives us an excellent dataset to assess the impact on consumer experience of such a widespread loss of service. We monitor other critical services similarly, and can often see when even minor performance degradation is occurring. Not everyone’s cup of tea we know, but this is what we live for! If you’d like to learn more about how you can analyse data with SamKnows One, or find out about how you can be the first to know, please contact us at info@samknows.com.